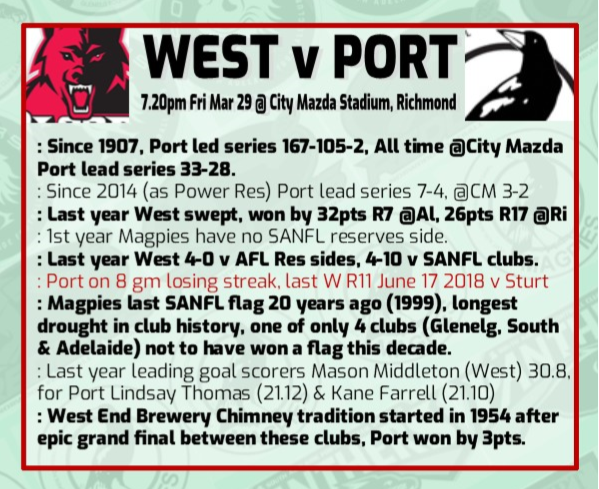 Tough game for West to get first up with port at near full strength. goddy11 wrote: Tough game for West to get first up with port at near full strength. Agree, it is a bit of a lottery playing the two AFL teams as you are never sure of their injury list. Westies look like being hard done by as I can't see them matching a near full strength Port team. Why are West favourite? I don’t understand it, have I missed something? bayman wrote: Why are West favourite? I don’t understand it, have I missed something ?